Dr. Charles J. Devine Jr. was born in Norfolk, Virginia in 1923. He attended college at Washington and Lee University and received his doctorate in medicine from George Washington University School of Medicine. He completed his internship at Johns Hopkins Hospital and a fellowship in urology at the Cleveland Clinic. It was in Cleveland that he met his wife, Rae Ellis. They were married on September 30, 1950 and had five children (three sons and two daughters and a host of grandchildren). Dr. Devine moved back to his home town of Norfolk in 1952 to join his father and brother in private practice, where their achievements were remarkable for a trio of private practice urologists. They established a residency program and were the driving force behind the establishment of Eastern Virginia Medical School and were pioneers in the field of reconstructive urology. In 1975, Dr. Devine and his brother founded the Adult and Pediatric Genitourinary Reconstructive Surgery Fellowship at Eastern Virginia Medical School. In 1983, with the leadership and guidance of Dr. Devine, the Society of Genitourinary Reconstructive Surgeons was established. Dr. Devine was recognized for his many outstanding accomplishments. In 1993, he was the recipient of the American Urological Association Distinguished Contribution Award and in 1997 he was the recipient of the Ramon Guiteras Award, the highest honor awarded by the American Urological Association. A month after his death on February 12, 1999 of advanced prostate cancer, the Eastern Virginia Medical School created the Endowed Devine Family Chair in Genitourinary Reconstructive Surgery. In memory of Dr. Devine, in May 2005, the Society of Genitourinary Reconstructive Surgeons established the Annual Charles J. Devine Jr. Lectureship. This annual lectureship is presented by distinguished guest speakers at the Societies Annual General Membership Scientific Session. 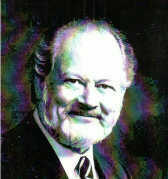 Dr. F. Brantley Scott was a native Texan, born in Pearsall in 1930. 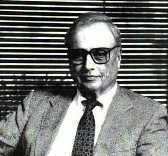 He graduated from the University of Texas in Austin in 1951 and received his medical degree at Yale University in 1955. After completing medical school, he worked at Barnes Hospital in St. Louis for 2 years, moving to Houston in 1958 to begin his urology residency training at Baylor College of Medicine. Upon completion of his residency training in 1961, he became a staff member at Baylor College of Medicine. In addition to his staff position at Baylor College of Medicine, Dr. Scott also served as Assistant Chief of Urology Service at the Veteran’s Administration (VA) Hospital and in 1963 he was appointed as Chief of Urology Service at the VA. He eventually became coordinator of the Urology Residency Program and Director of the Urodynamics Laboratory at St. Luke’s Episcopal Hospital. Dr. Scott’s lifelong work was dedicated to the concept that the solution to medical problems lay in innovative ideas. Using his artistic talent and his surgical skills to address and solve urologic problems, Dr. Scott started the original urodynamics lab at St. Luke’s Episcopal Hospital in 1963. Two of his inventions that improved patients’ lives were the artificial urinary sphincter and the inflatable penile prosthesis. He also invented the Scott ring retractor. Dr. Scott also worked to help children with spina bifida. His inventions and innovative surgical techniques enabled children with spina bifida to lead more comfortable lives. At the time of his death on July 27, 1991, Dr. Scott was a professor at Baylor College of Medicine. During his 33 years as an urologist, he had published over 100 articles and had lectured in 31 States and 20 foreign countries. In June 1992, the F. Brantley Scott Chair was established at St. Luke’s Episcopal Hospital and in 1996, to mark the fifth anniversary of the loss of this unique physician and surgeon, the F. Brantley Scott Award for Innovation and Creativity in Urology was established by the Scott Department of Urology at St. Luke’s Episcopal Hospital. In memory of Dr. Scott, in May 2008, the Society of Genitourinary Reconstructive Surgeons established the Annual F. Brantley Scott Lectureship. This annual lectureship is presented by distinguished guest speakers at the Societies Annual General Membership Scientific Session.